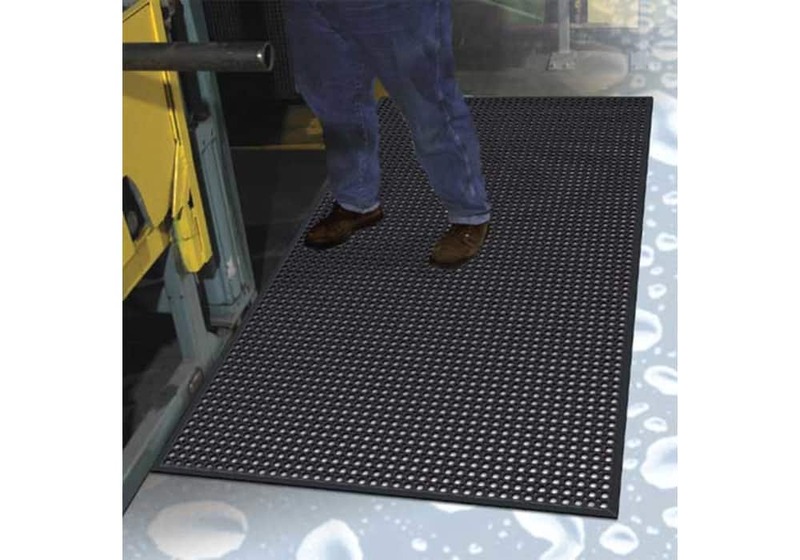 Our Work-Step Drainage Rubber Floor Mats are excellent for bars and kitchen wet areas, food processing work stations, service areas, and oily, greasy industrial areas. 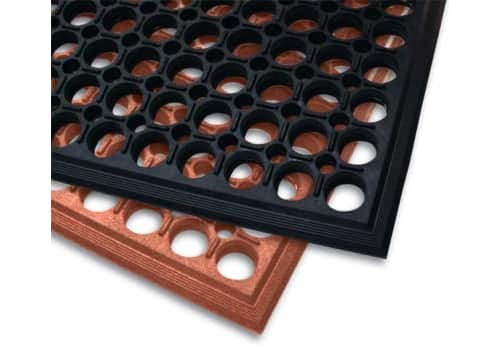 Holes in mat allow fluids to drain to bottom of mat; nibs at bottom create channels to allow easy drainage of fluids away from the mat. 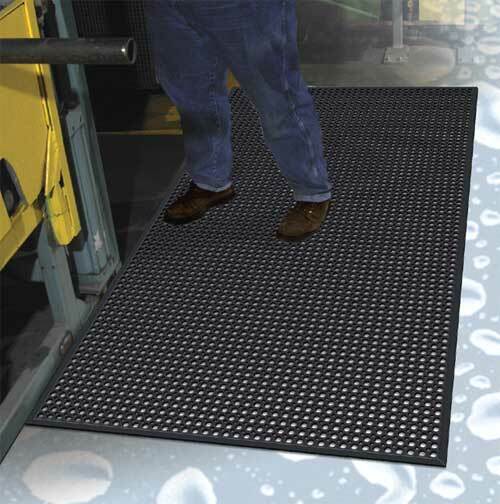 Molded, beveled edges to increase safety, easy cart access, and to reduce tripping. 1/2" thick, cushioned support reduces fatigue and helps prevent accidents. Lighter weight for easier handling and cleaning. 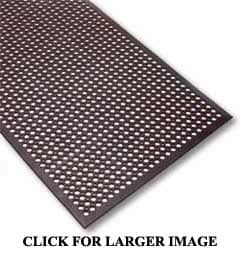 Excellent for Bars, Service Areas, Industrial Areas, and as a Kitchen Mat. Cushioned support reduces fatigue and helps prevent accidents. 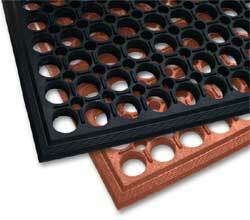 Also available in Black (Grease Resistant) with GritTuff top. 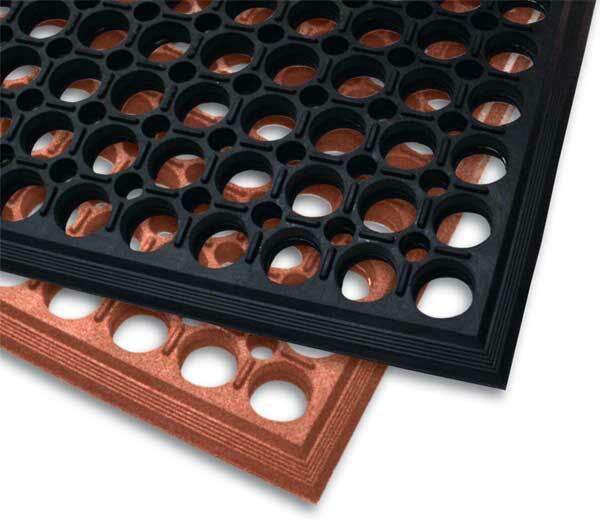 This is an extremely aggressive, high traction, carbide grit top surface. Product Weight (Red & Black): 1.5 lb/s.f. Product Weight (GritTuff top): 2.0 lb/s.f.